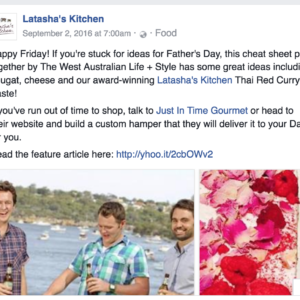 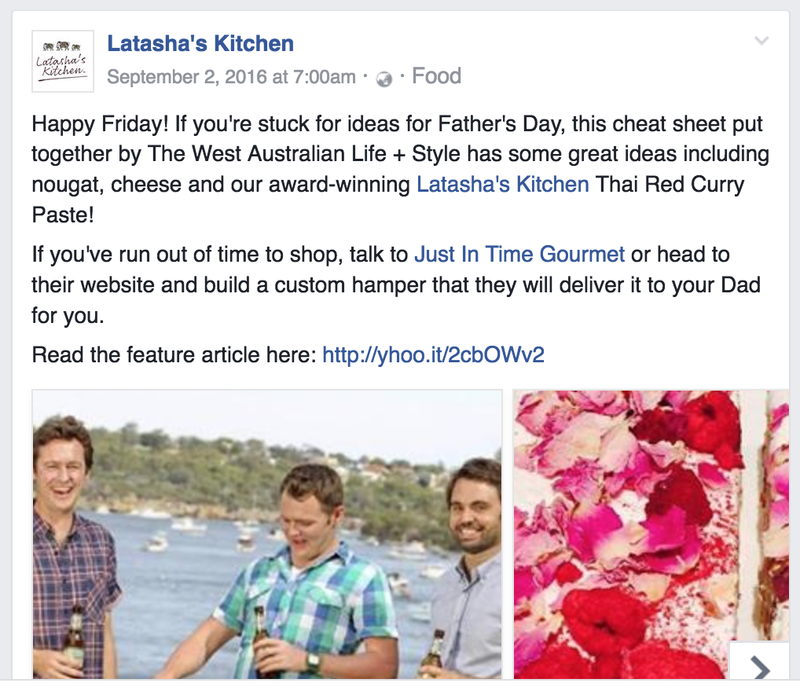 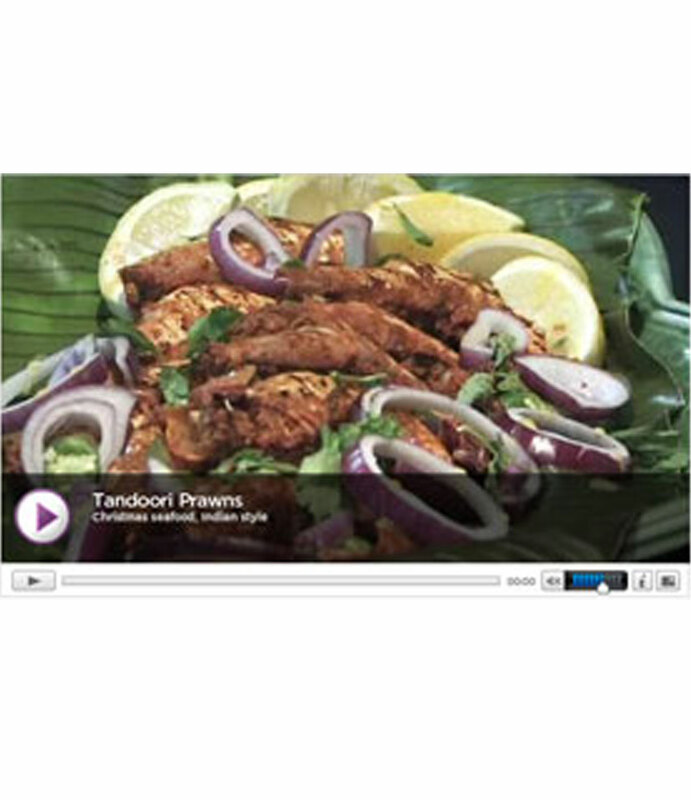 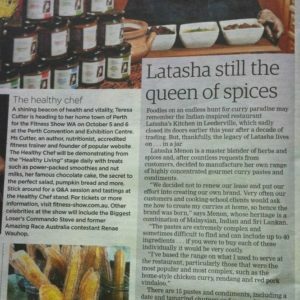 Latasha’s Kitchen is also featured in several videos where Latasha is interviewed by well known food buffs. 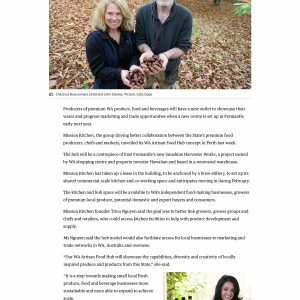 Check out this Radio segment with John McGlue on ABC 720 Drive. 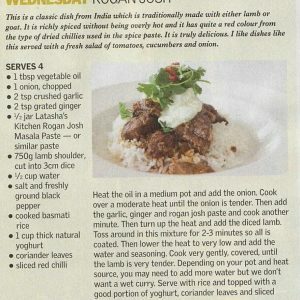 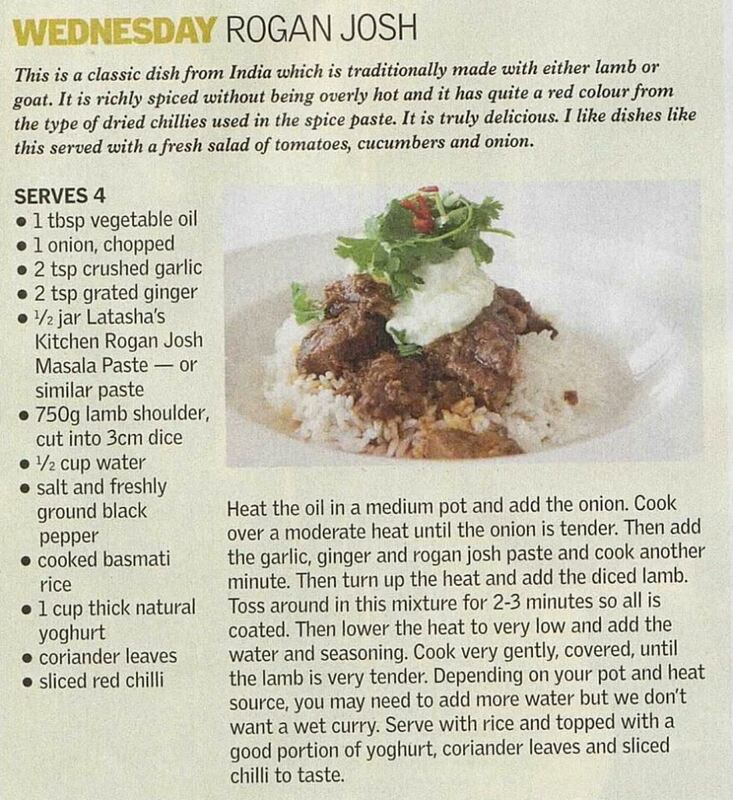 Here’s the On Air Recipe as well to the Fish Moilee that is discussed in the interview. 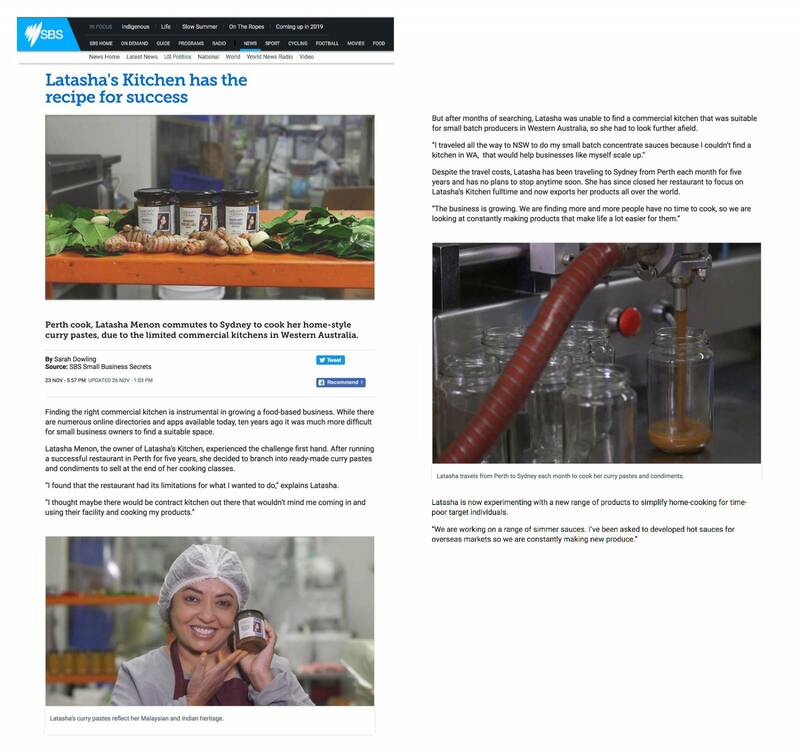 Read some comments from Latasha’s Customers: Visit our Testimonials page. 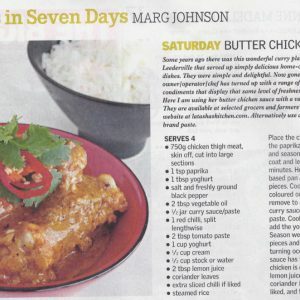 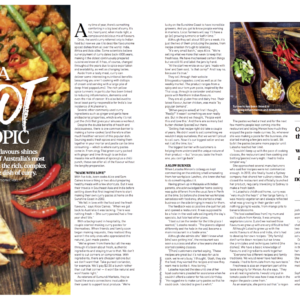 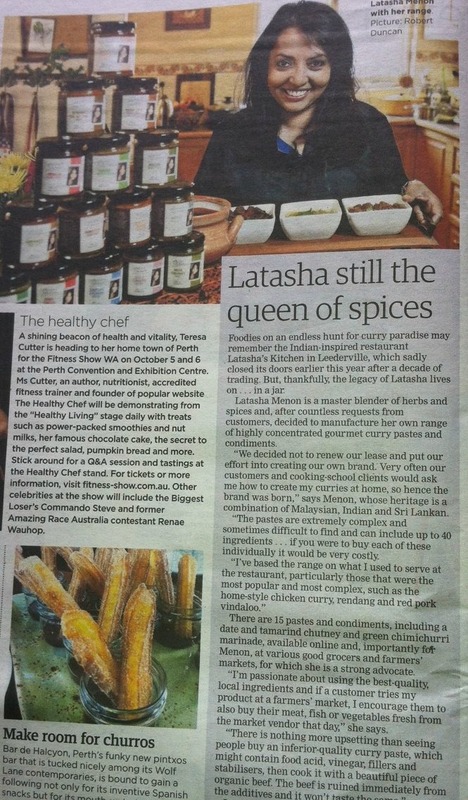 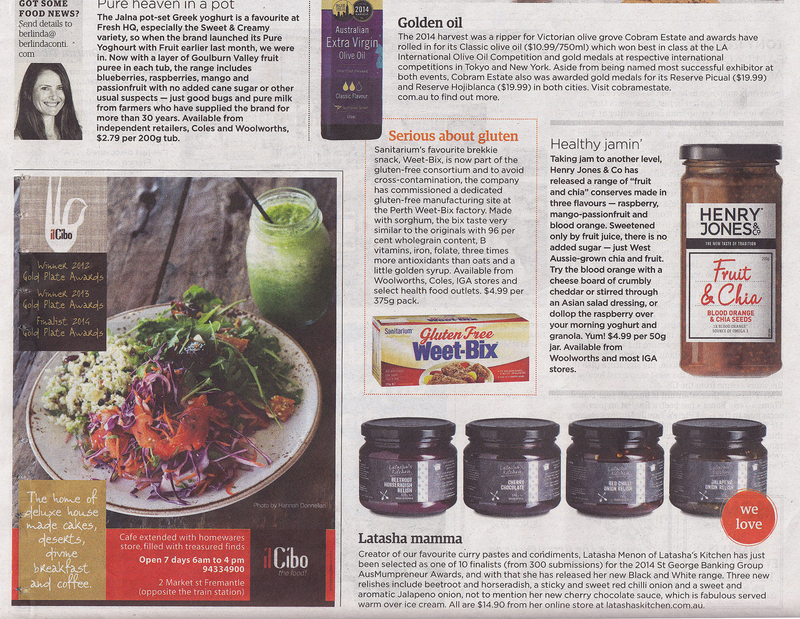 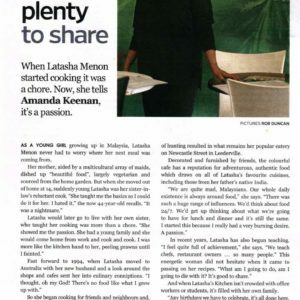 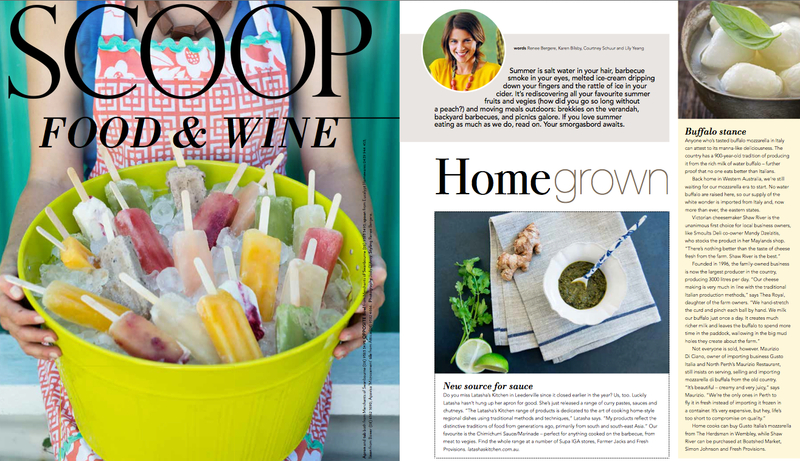 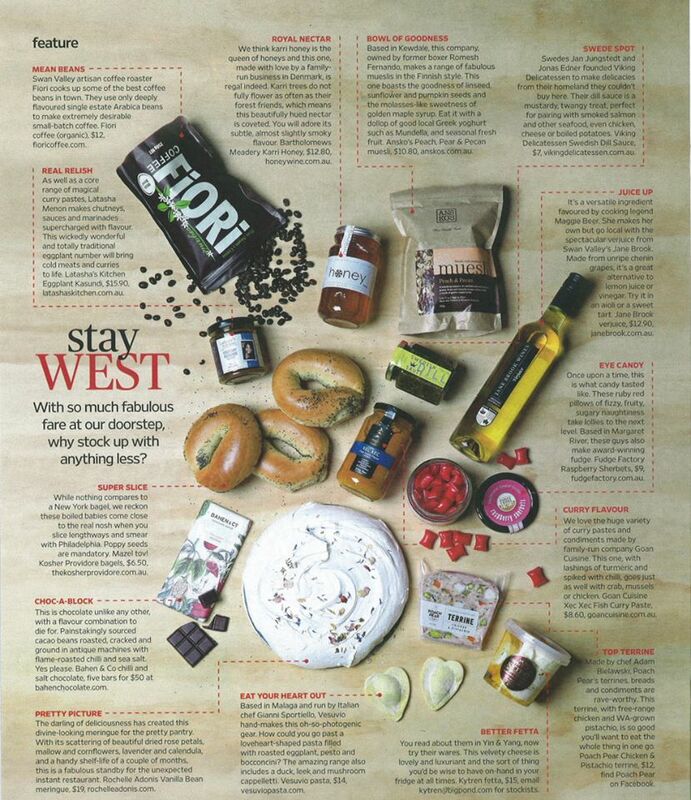 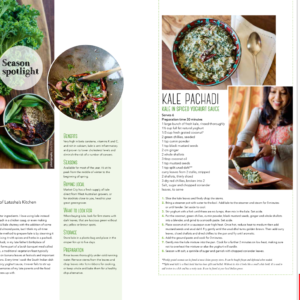 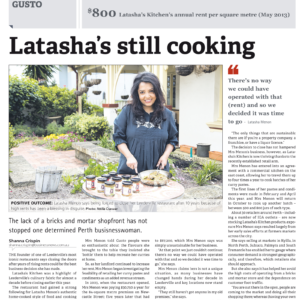 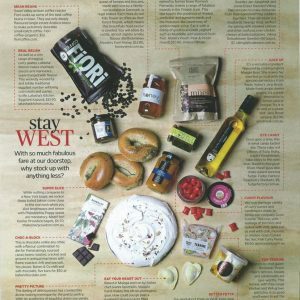 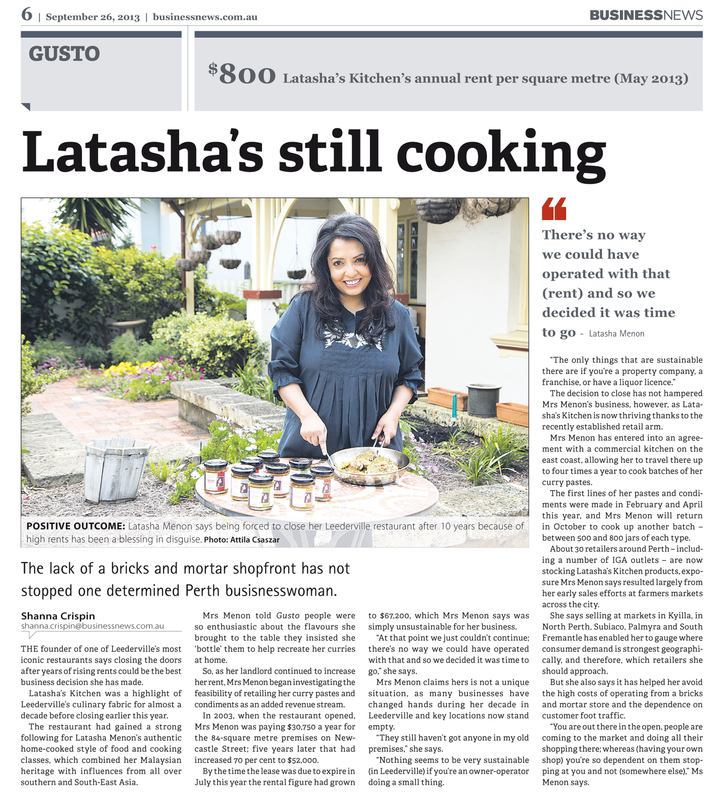 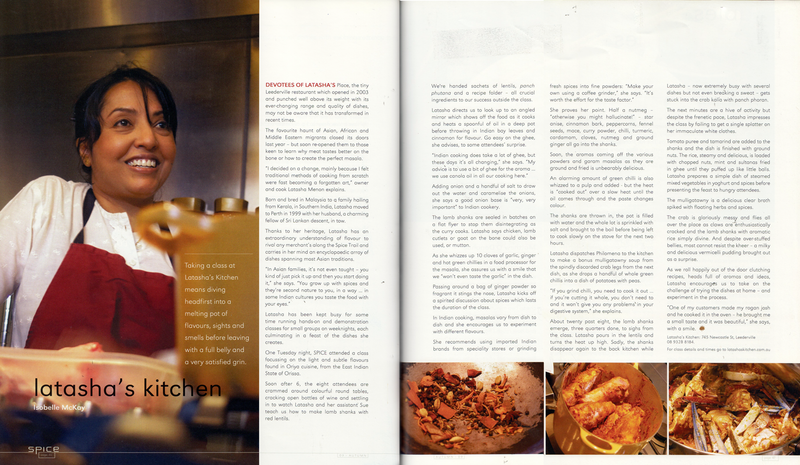 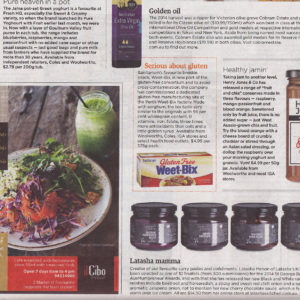 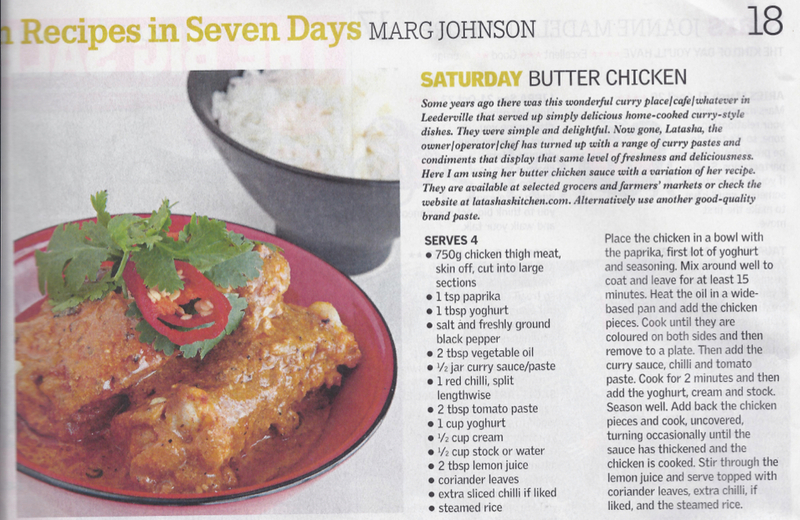 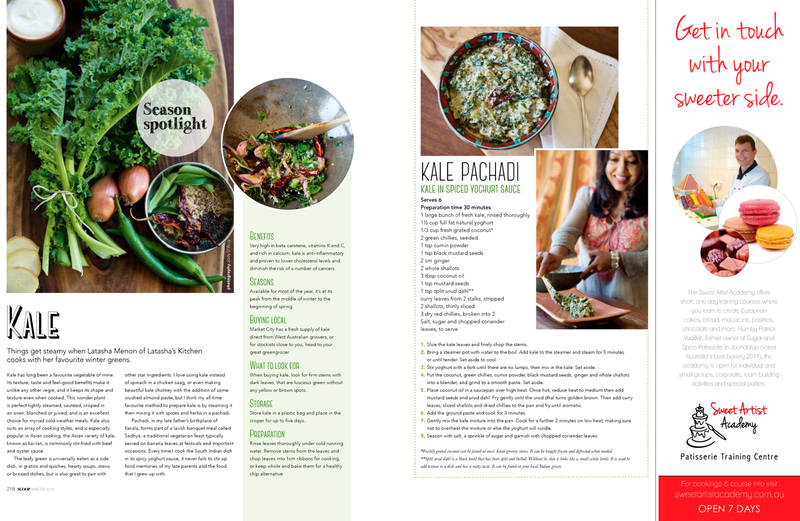 Latasha’s Kitchen featured in the West Weekend magazine April 20-21. 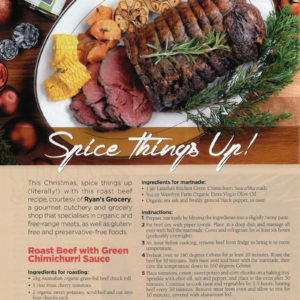 Cravings – Autumn 2009 Latasha’s Recipes published in Cravings! 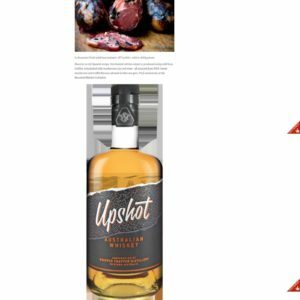 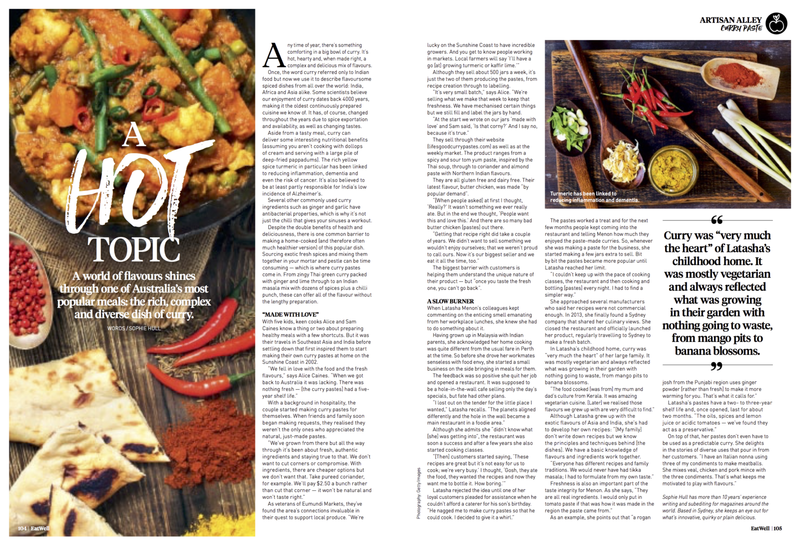 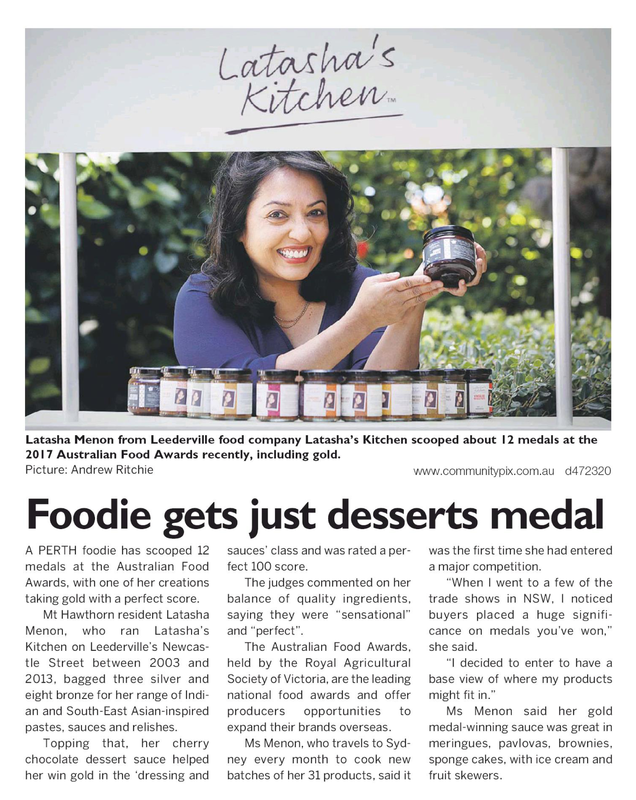 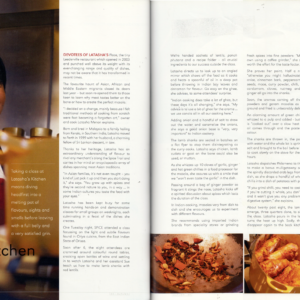 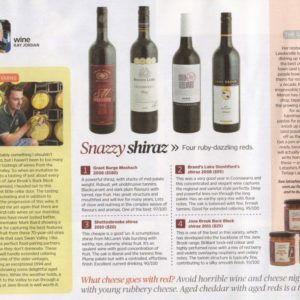 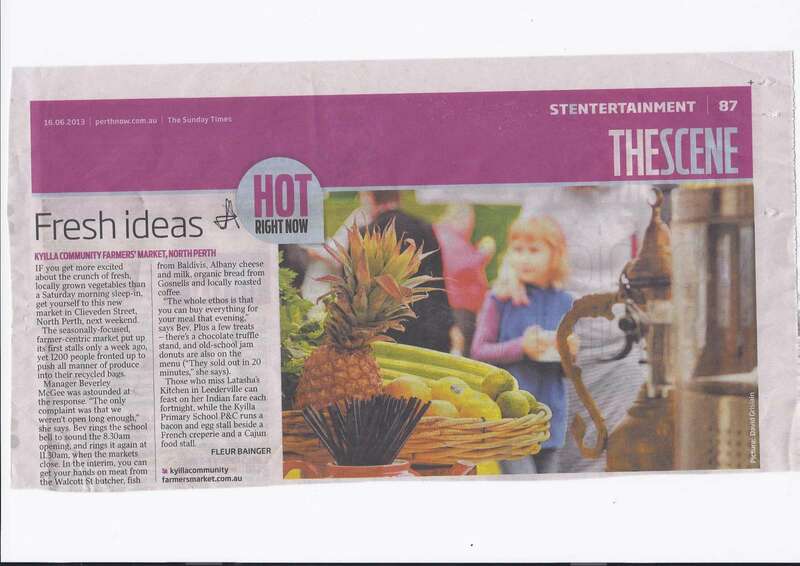 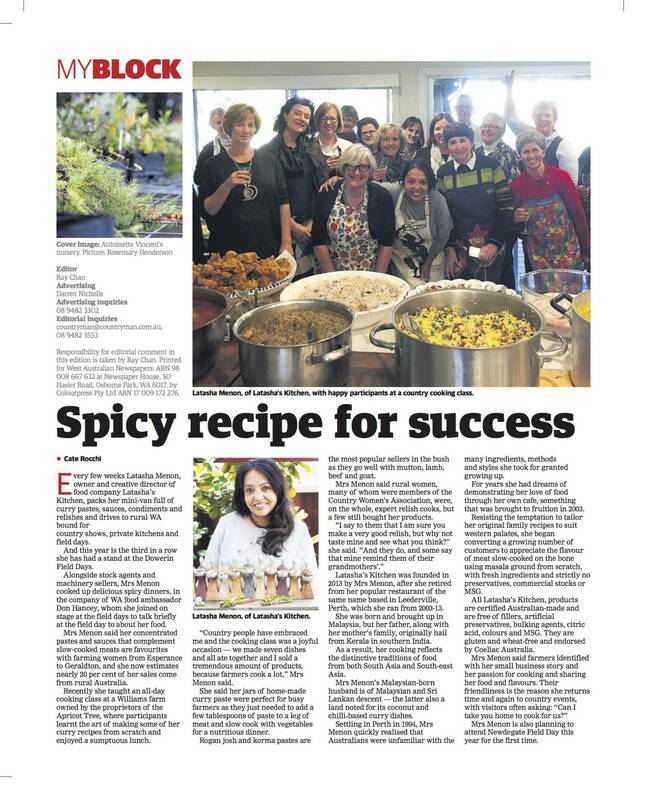 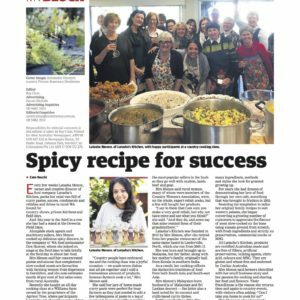 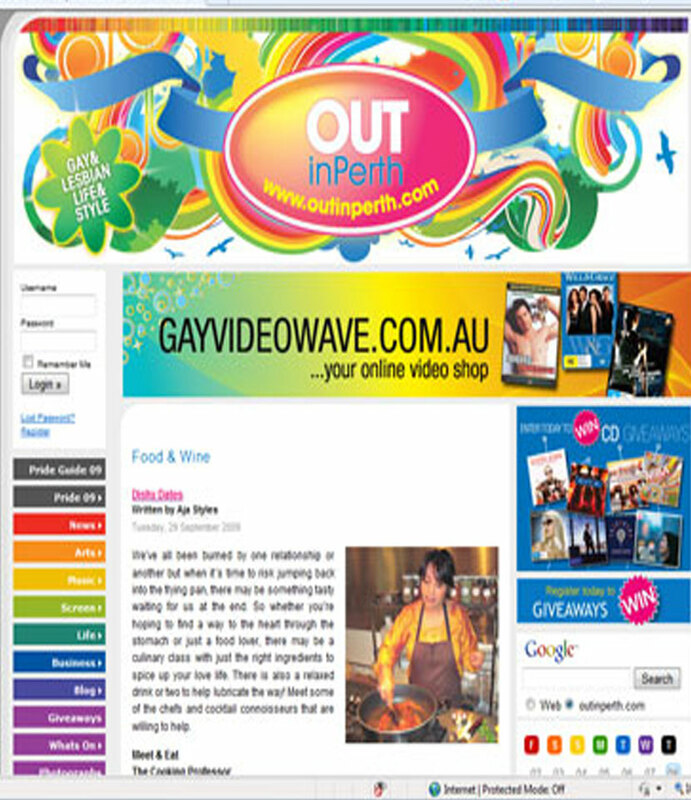 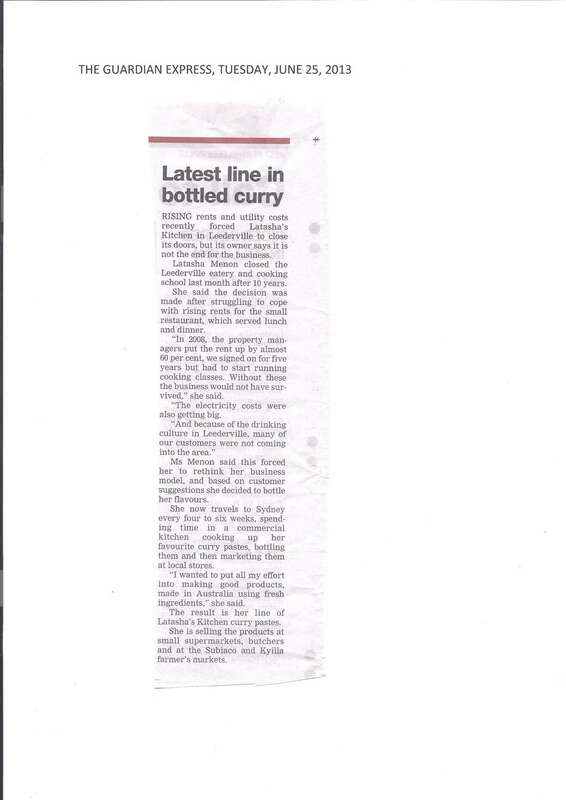 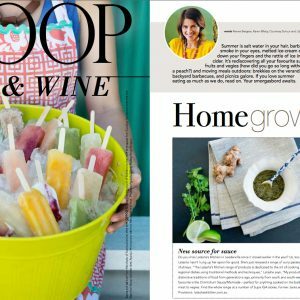 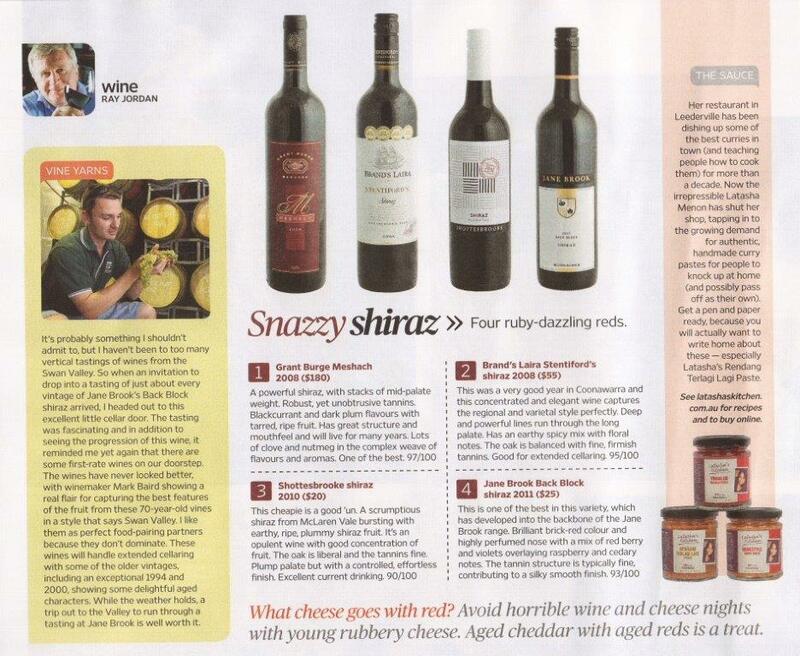 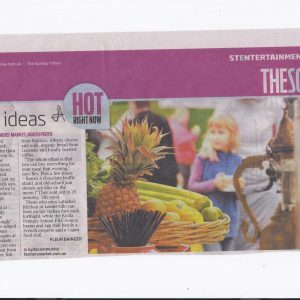 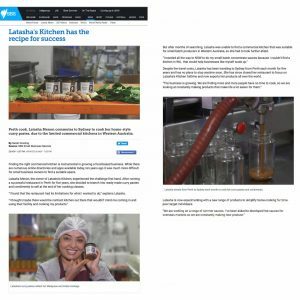 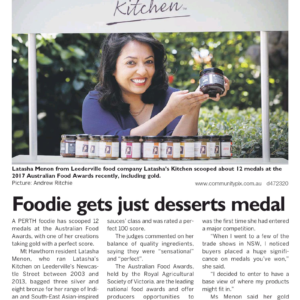 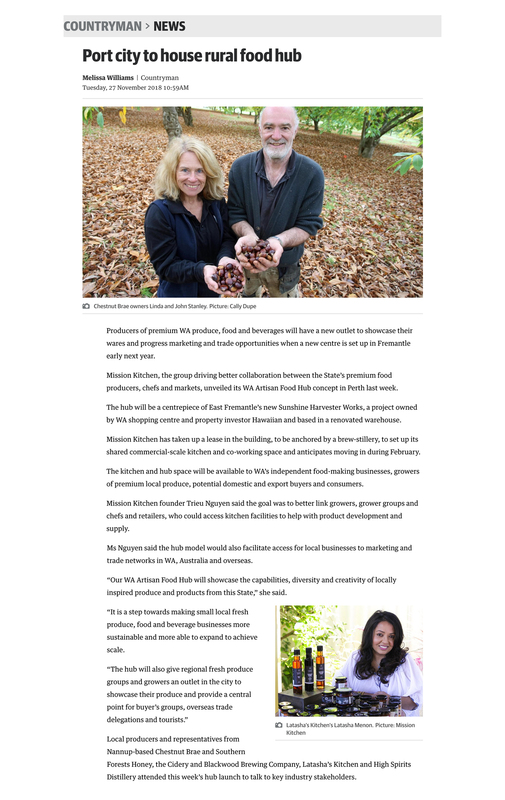 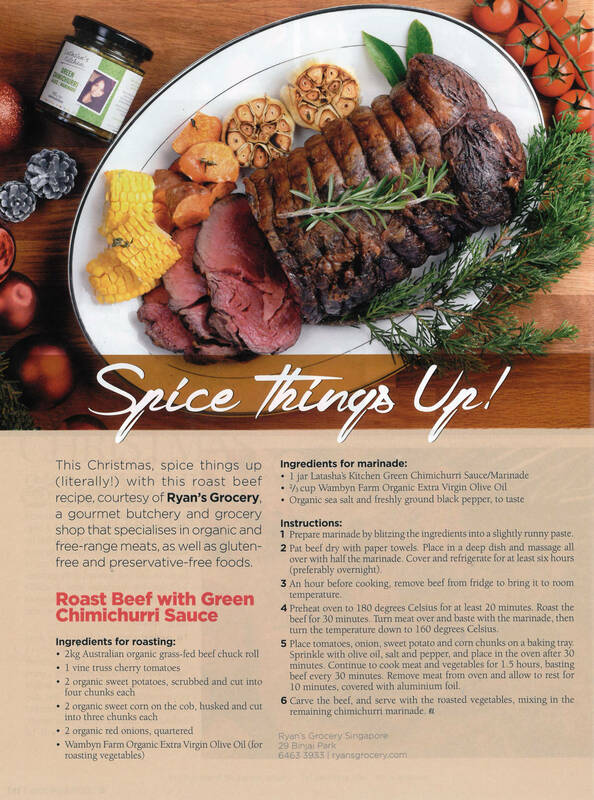 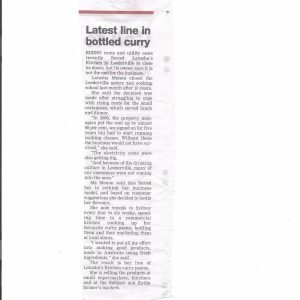 WA Business News – April 2008 – Bites – Cooking Classes With A Twist!